2002 Pofis Etalonschablone Etalonschablone on stmp POŠTA / ČESKOSLOVENSKÁ / 1919 A + B in/at protective cover. As new. album/-s kroužková Borek 3 pcs of, components/parts album sheets Olympic Games and World Championship in football 1990.
album Schaubek on/for German states and other country and territory, screw folder Part with stamps. Used, good condition. ring folder Lindner + older spiral stockbook SAFE with sheets on stmp and souvenir sheets + older spiral stockbook for entires Emgee. spring folder 2 pcs of, 1x Schaubek padded, 1x older same size. good condition. spring folder 4 pcs of, Schaubek, 3x textile, 1x koženka. Very good condition, as new. spring folder 4 pcs of, size Pofis, older used, good condition. spring folder 5 pcs of, size Pofis, older used, good condition. spring folder 5 pcs of, size Schaubek (3x Leuchtturm), older used, good condition. spring folder Pofis, older, but good condition, blue. screw folder Schaubek, 4 pcs of, as new. 1938 album on stmp CZECHOSLOVAKIA 1918-39, screw látkou covered with folder folder, firm V.K.K.V. Un. 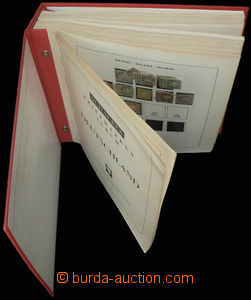 1953-87 album sheets Great Britain Schaubek, hingeless/glass havidkami in screw folder Very good condition. 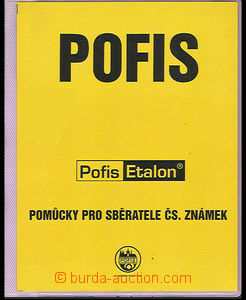 1975-87 album sheets Pofis (usual) on stmp CZECHOSLOVAKIA 1945-92, year/volume 1975, 1980-87 (year/volume 1983 2x). Un.